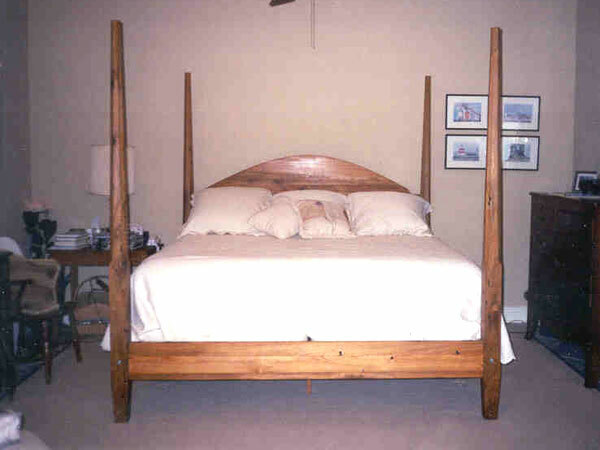 This old-cypress king sized Pencil Post Bed was made from salvaged lumber from an old foundry near Jeanerette, Louisiana. The unique and simple design allows us to create a number of different headboard panels, to fit your unique tastes. Let our experienced design team create a family heirloom for you. Available in many species of wood, as well as custom sizes. Have a good night's sleep. You deserve it!